Welcome to the March 2018 edition of the Curious Tea subscription! As usual we have four exciting new teas to share with our subscribers this month. The first light tea this March is a vegetal and creamy Jin Xuan Milk Oolong from Meishan in Taiwan. The second light tea is a Kenyan take on a typical classic green tea by the Tumoi Teas Cooperative. For the darker side of the selection we selected a spectacular Jin Jun Mei golden grade black tea from Wu Yi Shan in China. And finally the last tea of the selection is a complex lightly floral oolong from Guangdong, Dan Cong Yu Lan Xiang. Mixed: Meishan Jin Xuan Milk Oolong and Wu Yi Shan Jin Jun Mei. Let’s get into further detail on the products featured in our March tea subscription boxes. Meishan Jin Xuan Milk Oolong (梅山金萱烏龍) is a wonderfully refreshing high mountain oolong. Created from a Jin Xuan cultivar, it is grown at an altitude of 1,200m in Meishan, next to the famous Alishan National Scenic Area. 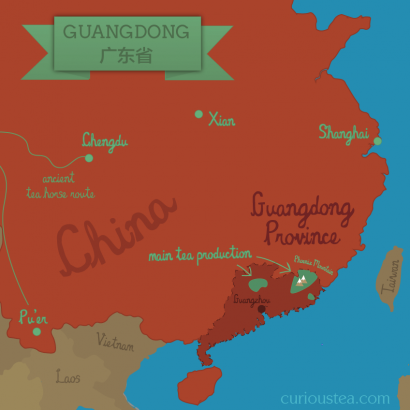 This growing location imparts a different character when compared to other milk oolong teas. While also exhibiting a milky aroma, mouthfeel and taste that the Jin Xuan cultivar is famous for, this flavour is also finely balanced by stronger green floral and fresh vegetal notes. This batch is from the November 2017 harvest. 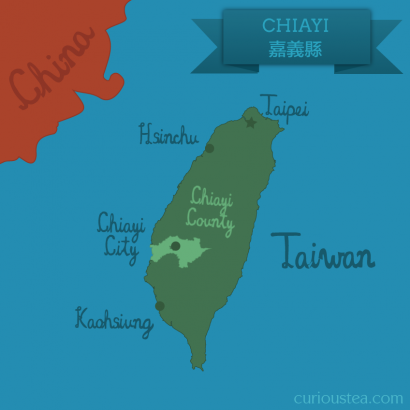 We carry three Milk Oolong teas at Curious Tea from different terroirs of Taiwan. 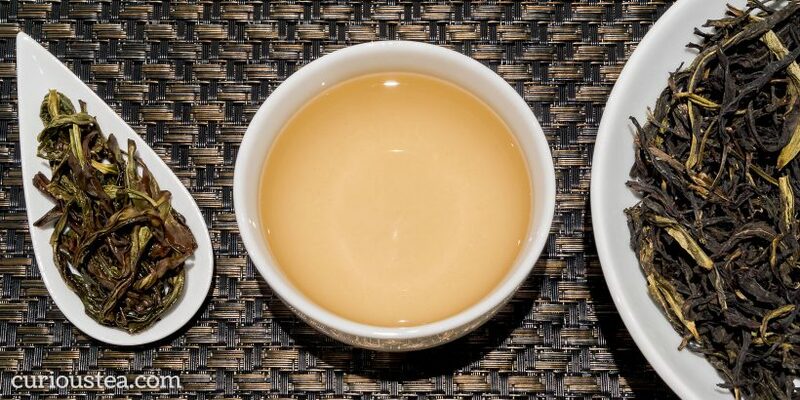 The Award-Winning Organic Milk Oolong is the most popular but the high mountain Meishan Milk Oolong and Alishan Milk Oolong are both beautiful examples of teas from the high mountain terroirs of Taiwan. Jin Xuan cultivar is also known as the Golden Daylily (Jin Xuan – 金萱) or TRES #12. It is very popular with farmers since the plants are more hardy and produce a higher yield. From a tea lover’s point of view, Jin Xuan is an attractive aromatic drink with a lovely sweet character. It is particularly popular for the smooth creamy and milky aroma, texture and taste. 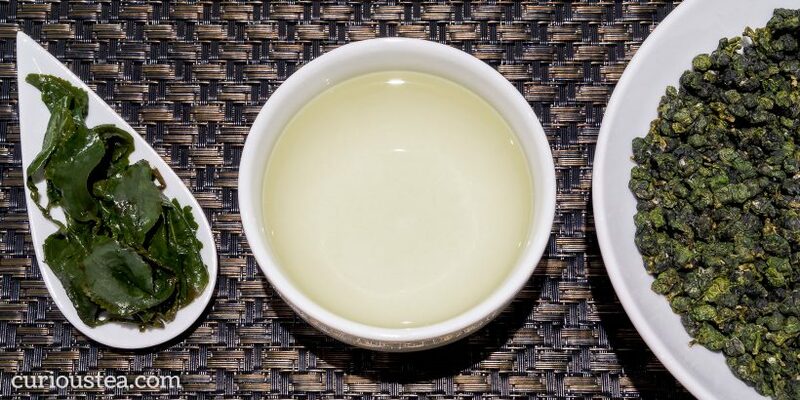 Unfortunately there are plenty of milk oolongs (whether from Jin Xuan cultivar or others) that are flavoured either with milk or vanilla in order to imitate or enhance the natural taste that the leaves of Jin Xuan develop. 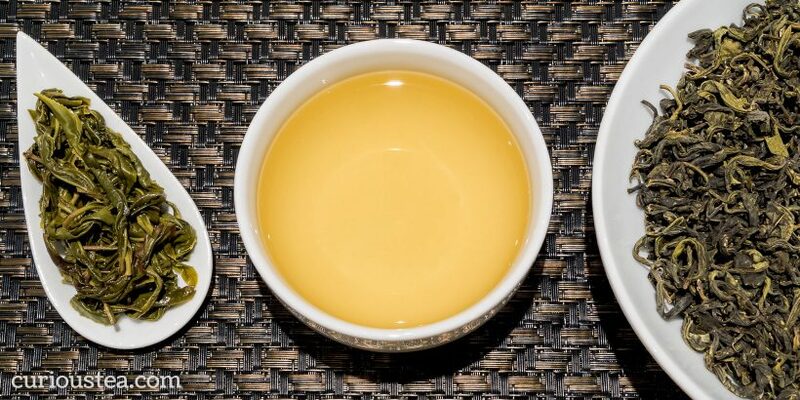 Any genuine Milk Oolong, such as this one, is always produced from the Jin Xuan cultivar and should not be flavoured or enhanced with additional flavours in any way. Our Meishan Jin Xuan Milk Oolong is sourced with the help of a Taiwanese Tea Master. The tightly rolled leaves of this oolong produce a light yellow-green liquor with a buttery and creamy aroma. The high mountain nature of this tea is evident both in the quality of the leaves but also in the complexity of flavours. Present is the trademark milky, creamy mouthfeel, texture and taste. However there is another more vegetal and floral layer superimposed on that classic taste. There are herbaceous notes of fresh buttered leafy greens, green flowers, dandelions. The interplay between the more vegetal, green notes and the creamier, buttery notes is very finely balanced and makes for a comforting yet refreshing cup. You can also buy Meishan Jin Xuan Milk Oolong tea in our online shop. 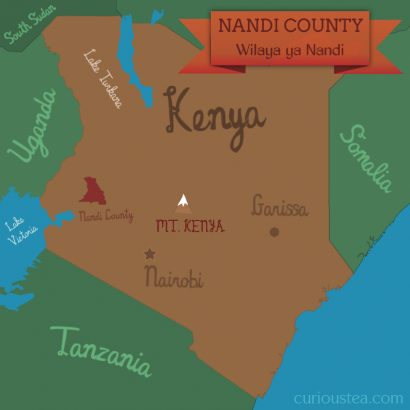 You can buy Tumoi Nandi Hills Green tea in our online shop. Jin Jun Mei Golden Beautiful Eyebrow is a very recently developed tea – it was introduced to the market just over 10 years ago. It has quickly gained huge popularity, especially in China. 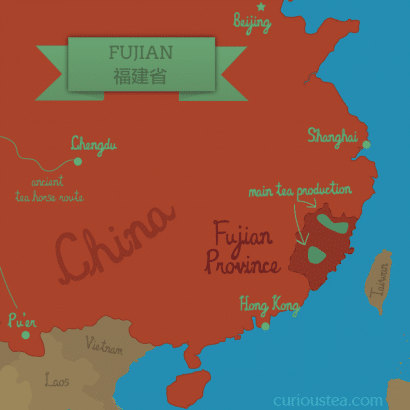 Jin Jun Mei is grown in an area that is known for producing famous Chinese teas, such as Da Hong Pao, Rou Gui and Lapsang Souchong. Jin Jun Mei is also normally classed as a type of Lapsang tea. Much like Lapsang Souchong, Jin Jun Mei can come both in smoked and unsmoked versions. 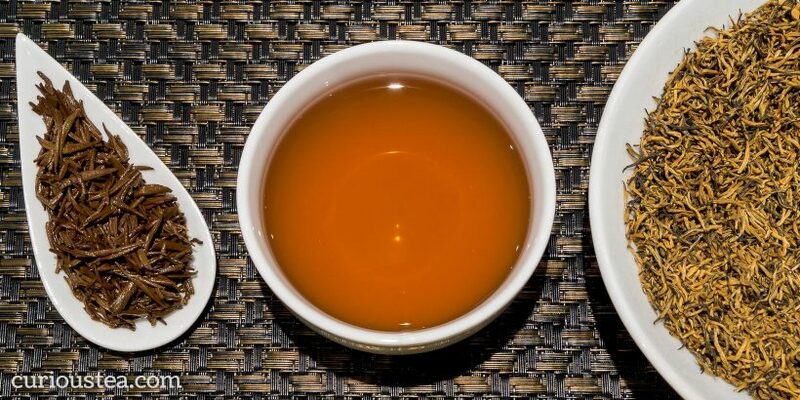 While smoking does impart a wonderful dimension to the tea that is loved by some, it can also be used to mask problems and imperfections in a tea. This particular Jin Jun Mei is unsmoked so you get to enjoy the full sweet, fruity and malty character without the smoky flavour. You can also buy Wu Yi Shan Jin Jun Mei black tea in our online shop. You can also buy Dan Cong Yu Lan Xiang Oolong tea in our online shop. We really do hope that you enjoy the tea selection for March and are looking forward to the next instalment in April!